Yesterday, I managed to pluck up the courage and join Makeup Artist Vithya in front of the camera for a collaboration Vlog. I met Vithya last year in November when I went along to one of her one-to-one tutorial classes, since then we have become good friends sharing a love of food and clothes. With some needed help on the hair and makeup side, I was ready to talk about wardrobe essentials and more. Firstly I went through Vithya's wardrobe, talked about staples and how to style pieces together. We discussed how to dress this winter too and the art of layering. Hope you enjoy this video as much as we did. Black blazer: So versatile, dress it up by pairing it with a dressy top or heels, dress it down with jeans and trainers. 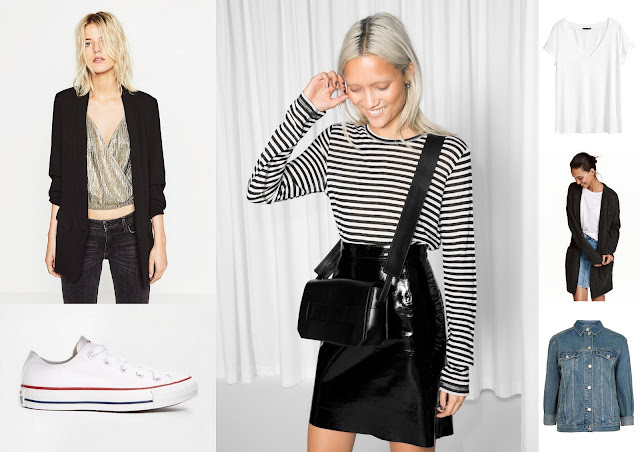 Converse trainers: White trainers can go with anything, even a sequin skirt. Breton top: Can't live without this item, goes with most things, even leopard print. White t-shirt: Check out my post on this here. One of my favourite essentials. 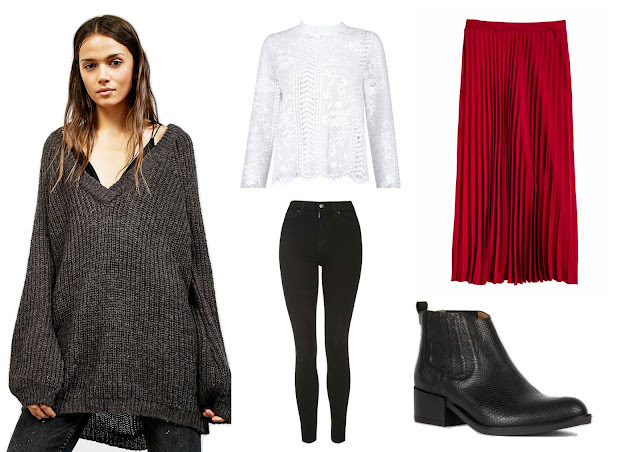 Chunky knit cardigan: Great for layering over dresses/skirts and jeans. I wear mine a lot during Winter. Denim jacket: Not only for summer, but it can be layered under a coat too during colder months, check out my post on layering here and here. Once you have some of the basics, you can start styling around these pieces to create a style suited to you. So for me, I love adding graphic t-shirts, different styles of shirts, and adding colour to my wardrobe. I try not to be lead too much on trends as they never last in my wardrobe. But don't be afraid to try new things out and have fun with clothes. It took ages for me to wear colour, but I'll happily wear it now. I think the number one rule is to wear what you feel comfortable and confident in, there is no point buying the dress or top if it's not going to make you feel great in it. Thank you for reading, and a big thank you to Vithya for having me. You can follow Vithya on Instagram, Youtube, Facebook and Snapchat, and she also has a blog The Art Of Beauty.